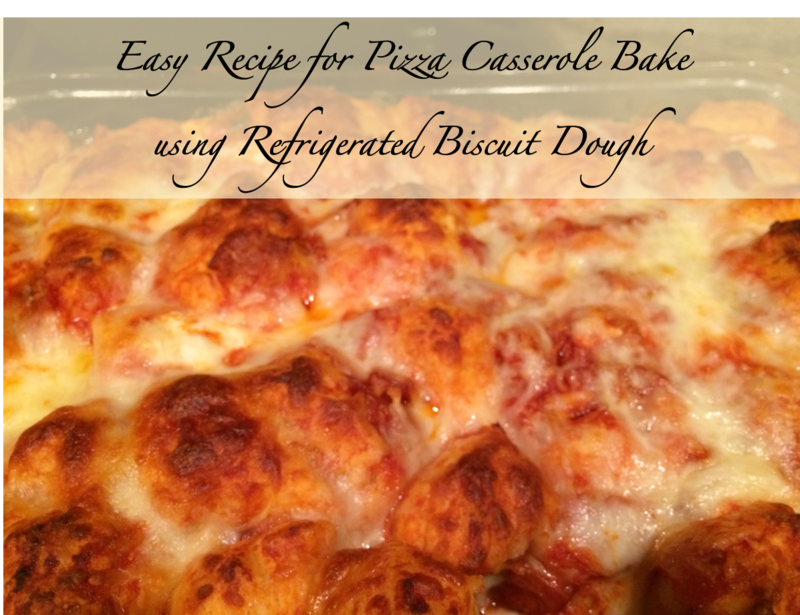 This recipe is a variation of the original Pillsbury Grands recipe found here. 2. Spray an approximately 8"x12" glass pan with cooking spray. 3. Chop the biscuits into small pieces. We chopped each biscuit into 8 pieces. 4. Add the chopped biscuits, pepperoni, mozzarella balls, and 1 cup of cheese to a mixing bowl. 5. Add the sauce and stir. 6. Add the mixture to a glass pan and top with cheese. 7. Bake for approximately 22 minutes or until thoroughly cooked and golden brown on top. 8. Allow to cool slightly and then serve.